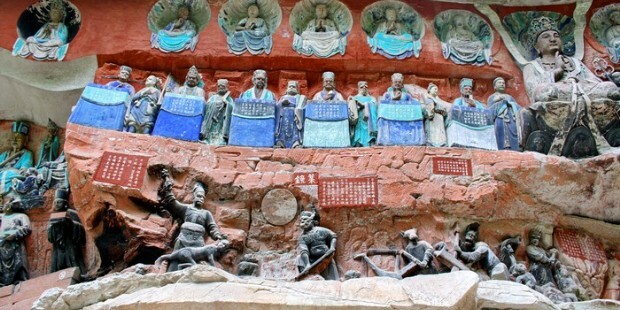 Note: This one day tour is specially designed for you to get a glimpse of Chongqing history and culture by visiting Ciqikou Ancient Town and Dazu Rock Carvings. Also you will get to know Chongqing life from the commercialized Jiefangbei Walking Street. 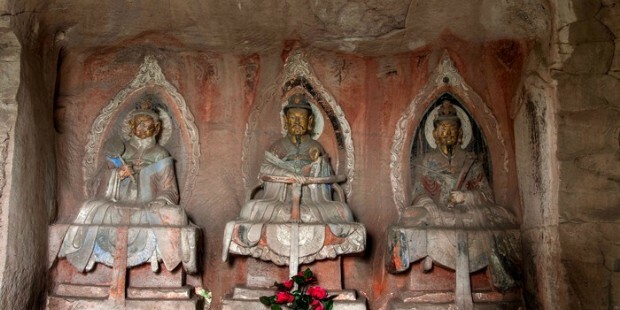 This one day tour is specially designed for you to get a glimpse of Chongqing history and culture by visiting Ciqikou Ancient Town and Dazu Rock Carvings. 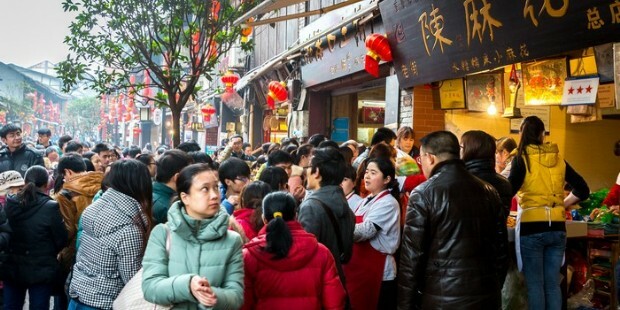 Also you will get to know Chongqing life from the commercialized Jiefangbei Walking Street. 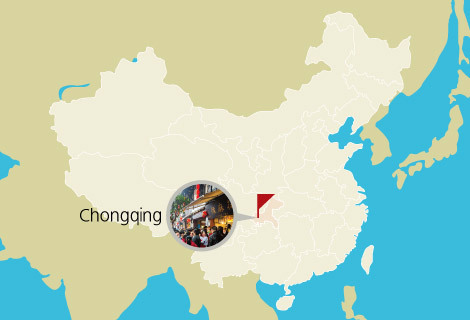 Our guide will pick you up at your hotel and take you to start this Chongqing day tour. The first tourist attraction to visit will be Ciqikou Ancient Town. The Ciqikou Ancient Town is located on the bank of Jialing River. The history of Ciqikou can be dated back to more than 1700 years ago. During the Ming and Qing Dynasties (1368-1911), the town had a great reputation as its production of porcelain and this is how Ciqikou got its name. Ciqikou Ancient Town is a miniature of ancient Chongqing and its life. 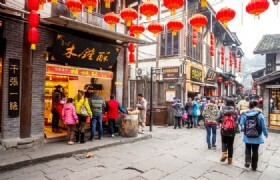 When you travel to Ciqikou, you will experience and enjoy the ancient Chongqing life and culture by relaxing at its numerous tea houses, tasting delicious Chongqing food and snacks there, and strolling at those workshops selling exquisite Shu Embroideries and unique handicrafts. 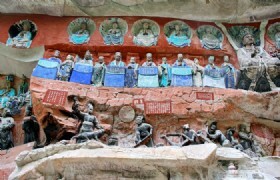 The next scheduled attraction to see will be the famous Dazu Rock Carvings. Chongqing Dazu Rock Carvings are a collection of cliffside religious sculptures and carvings situated in Dazu District of Chongqing. 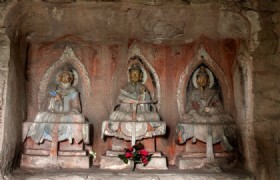 They contain carvings in Beishan, Baodingshan, Nanshan, Shimenshan and Shizhuanshan. The Dazu Rock Carvings include statues, inscriptions and epigrahs, they are essences of carvings of Buddhism, Taoism and Confucianism. Noted for the ingenuity and exquisite craftsmanship, these carvings with high aesthetic quality and rich subjects from folk customs to religious, have fully demonstrated the daily life and social economy at their periods. Also they are fine examples to prove the harmonious coexistence of Buddhism, Taoism and Confucianism at their historical period. Then we will bring you back to Chongqing City and you will have free shopping at Jiefangbei Walking Street. 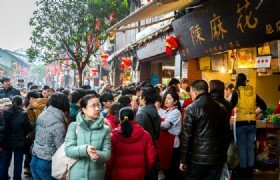 The Jiefangbei Waling Street is a famous commercial and shopping center in Chongqing. You can shop at the numerous shops and stores that sell various kinds of commodities. 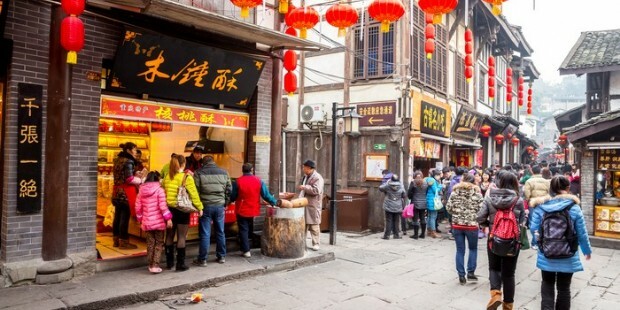 Also the Jiefangbei Walking Street is a great place to taste delicious Chongqing food and snacks. At last, our guide will bring you back to your hotel. Hope you had a great time with us!